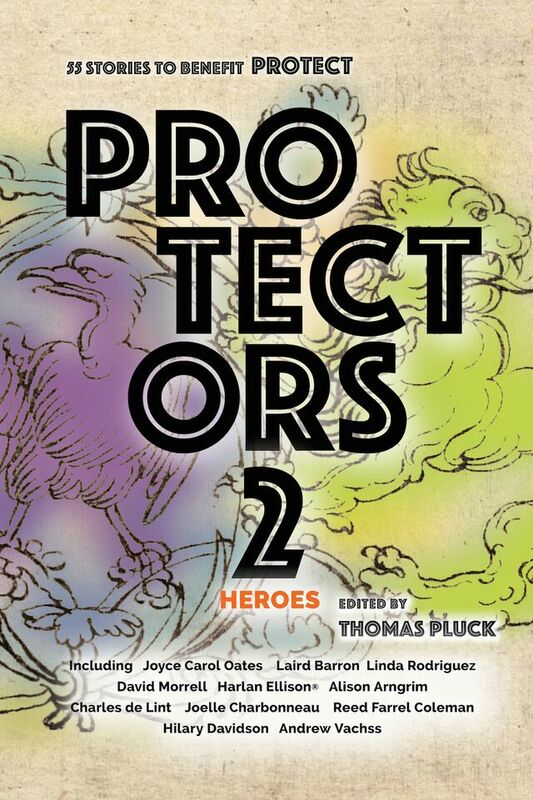 The print version of Protectors 2: Heroes is now available for pre-order. 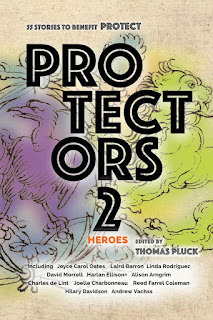 Heroes is a massive book featuring work from legends, established writers, new comers, and even first-timers with all proceeds going to benefit Protect (view the current donation record here). I'm very proud of my story in this anthology. And I've talked a bit about how "The Whistler In The Graveyard" is a product of my younger years reading, watching, and writing horror and weird tales. The thing I really wanted to talk about today, however, were some of writers and stories I had in mind when I sat down to write Coffin Boy's first adventure. 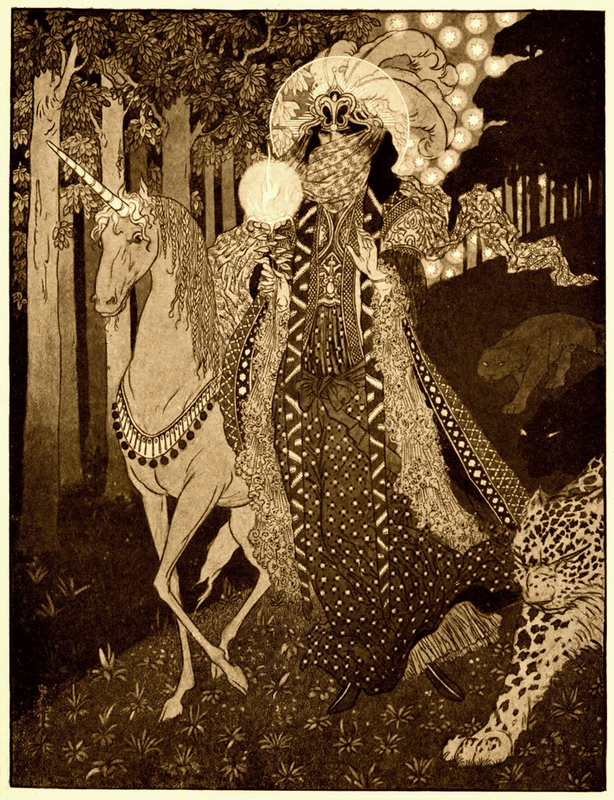 While these aren't necessarily reflective of anything specific you'll find in my YA Occult Detective story, this work absolutely shaped the creative brain responsible for "Whistler". So I acknowledged those diverse hands when I named characters and places. 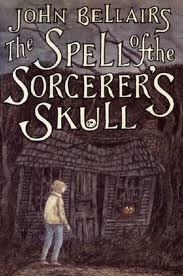 John Bellairs—I loved Bellair’s gothic mysteries for children and young adults with their wonderfully evocative titles like The Spell Of The Sorcerer’s Skull or The Lamp From The Warlock’s Tomb. Not to mention the artwork from Edward Gorey. I still have a shelf full of Lewis Barnavelt, Anthony Monday, and Johnny Dixon’s adventures. Charles Brockden Brown—I discovered Brown in college when he was still being discussed as the first American novelist (a position I think he no longer holds). I think he’s mostly forgotten today outside of academic circles. Despite being a bit awkward and the ventriloquism gimmick being a little silly, not only was Wieland the first American Gothic novel but it’s a fairly harsh criticism of religious fundamentalist and an exploration of unfulfilled desire. Stephen King—I don’t think there’s anyone under a certain age who’s written at least one horror story who wasn’t influenced in some way by Stephen King. Most of his later and recent work has left me stunningly cold and indifferent but his early work still packs an enormous punch for me. Nigel Kneale—I vividly remember watching The Quartermass Xperiment on the Sci-Fi channel. The next time my parents took me to the library, the first thing I did was see if I could find the other films on VHS. Christopher Pike—The entire shelf full of Christopher Pike books speaks volumes to the effect he had on me. Edgar Allan Poe—True story: I was stalked in high school by a girl who told me she believed I was the reincarnation of Edgar Allan Poe. Ann Radcliffe—My obsession with Gothic novels ruled a good deal of my high school years. I suspect this was due to two things. A unit on the Romantic poets and an AP English teacher who insisted on referring to me as Heathcliff while we were reading Wuthering Heights. I sought out Radcliffe’s The Mysteries of Udolpho after she came up in our discussion of Jane Austen’s Northanger Abbey. Clark Ashton Smith—When it comes to the big three from the pages of Weird Tales, my preference has always been Clark Ashton Smith. He wasn’t always the best plotter and sometimes amidst all the poesy he lost sight of what he was actually trying to say, but I will take him over both Lovecraft and Howard any day of the week. Horace Walpole—My high school Gothic novel obsession would not have been complete without a read through of The Castle of Otranto. However, I should probably apologize to my high school AD&D GM for inflicting Otranto the hunchback thief on his campaign.